My first event in May held a special place in my heart. Robiannce and I were both in the Hotel College at UNLV (University of Nevada Las Vegas) and served on the board of NSMH (National Society of Minorities in Hospitality) together. I have so many fond memories of us traveling together, attending conferences, complaining about our respective internships and so many days of us talking about the futures we wanted. This day was the perfect addition to our long list of memories. Robi asked me to perform her wedding day coordination and touch base routinely to ensure her planning was on track. 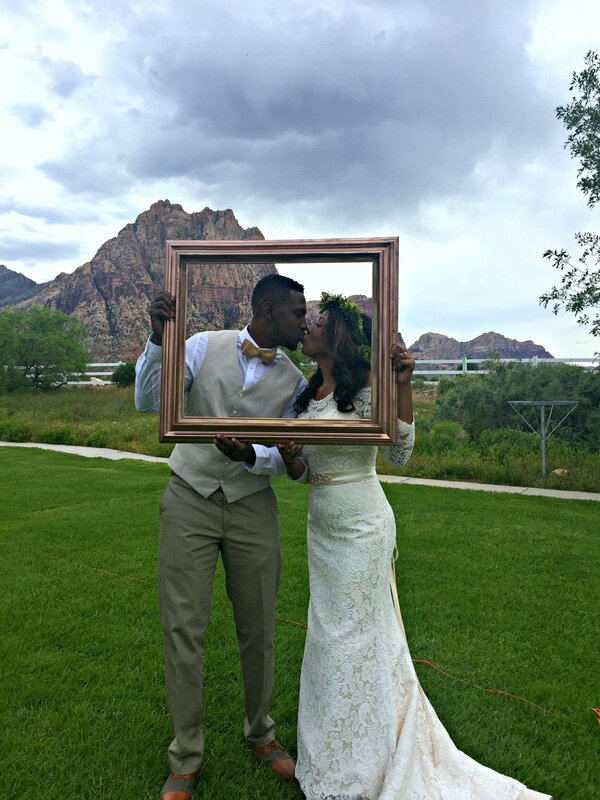 She chose Spring Mountain Ranch as the venue and planned the details of the wedding. Leading up to the wedding we met together over several brunches and long coffee dates to review details and logistics of the big day. Spring Mountain Ranch has a breath taking backdrop of the mountains. The ceremony took place on the lawn in a spiral seating, coffee hour took place in the gazebo and the reception took place on the lawn as well. Robi arranged for the equipment and decor to be delivered in trucks. With the assistance of an amazing team we set the coffee hour, ceremony and staged the reception then during coffee hour we set the reception. My responsibilities for the day included setup and teardown of the event, ensuring the wedding was on schedule and expediting the food from the food truck that provided catering. It is always an honor when a couple asks for me to be apart of their special day but it was so amazing to see Robi and Leo happily begin this new chapter in their life. I am so happy that I could help bring Robi's vision to Fruition. Here are a few pics from the beautiful day!